With an estimated 26 million bags lost every year, the airline industry doesn’t exactly inspire confidence in those of us who like to arrive at our destinations with our stuff. A device called Trakdot can’t keep the airlines from mistreating your suitcases, but it can tell you, in real time, where your bags are. The small palm-size gadget has to be registered before you use it. Once you set it up on the Trakdot website, you simply put the little gizmo into your checked bags. 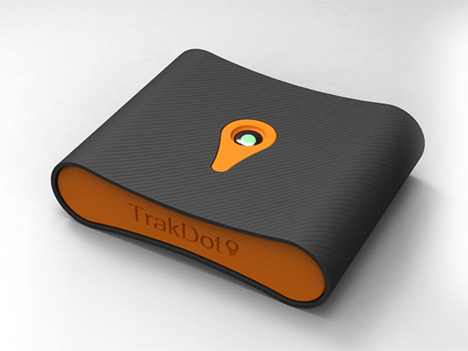 When your bags are on the move, the Trakdot device goes to sleep. But as soon as the plane lands, you get a text message or email telling you what city your bags are in. 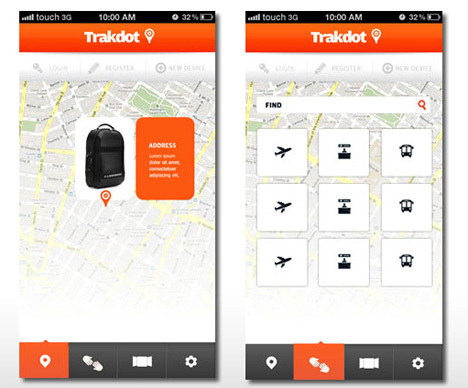 You can even track the history of your luggage’s journey on the Trakdot website. So going forward, if you’re in Orlando and your bags are in Cleveland, you can help out the airline employee who doesn’t seem able to tell you anything about where your lost luggage has gone. 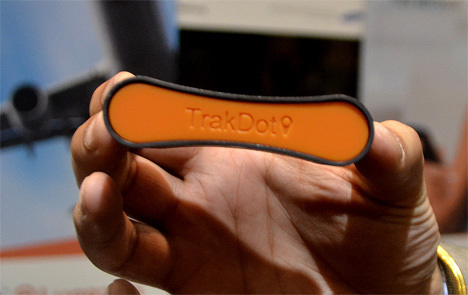 The Trakdot will go on sale in March 2013 with an initial price of $49.95, an $8.99 activation fee, and a $12.99 annual service charge. If you’re a frequent flier – or just really unlucky with airline baggage handling – you might find the expense well worth it. See more in Mass Transit or under Transportation. January, 2013.